The international plastics and rubber industry meets in Düsseldorf in October. K 2016, the world’s leading trade fair for the industry, will be taking place there from 19th to 26th October. LANXESS, too, will be showcasing its wide range of high-performance plastic products to the exhibition there. Once again this year the K fair in Düsseldorf will be the absolute highlight for the industry and the starting point for trend-setting decisions about product, process and problem solutions in plastics processing. More than 3,100 exhibitors will be presenting their products and services to the visitors for a week. LANXESS will be there, along with the new rubber joint venture ARLANXEO. So-called Gummistraße (Rubber Street), where LANXESS meets with German rubber industry trade association and the Dr. Gupta publishing house to offer the processors a presentation platform, will be there are again this year as well. The presentation as a whole will take place in Hall 6 in an area of over 1,200 square metres. In the 700-square-metre LANXESS area, red decorative highlights ensure that the company is recognizable. 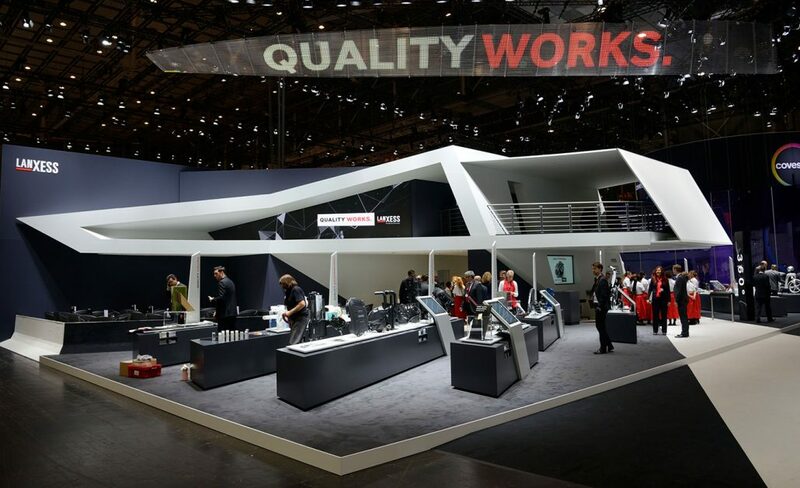 “The LANXESS stand has evolved, in formal aesthetic terms, from previous trade fair appearances. 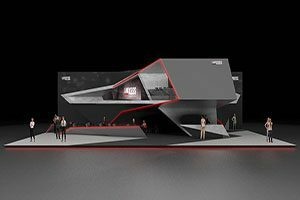 The ambitious architecture has a sculpted effect, and impresses with flowing lines following strict a geometric pattern,” says Udo Erbstößer, project leader and stand manager for LANXESS’s presence at the trade fair. This year, the specialist chemical company’s motto is “Quality Works.”. It expresses LANXESS’s self-image and performance, to which quality is central. “This slogan not only highlights our excellent products, but also encapsulates the global orientation of the company. The motto also stands for our customer focus, strong service and for our efficient processes,” says board member Hubert Fink. LANXESS is presenting a campaign that reflects this at K 2016. Newer designs of oil pan modules are rejecting polyamide 6.6 in favor of the equally robust but much more economical polyamide 6. The latest example is the oil pan module for the new six-cylinder boxer engines of the Porsche 911 Carrera, which is made of Durethan BKV 30 H2.0 . Light engineering is a key topic where reducing energy and fuel consumption in mobility is concerned. Obviously, metals are progressively being replaced with plastic in the manufacture of motor oil pans. 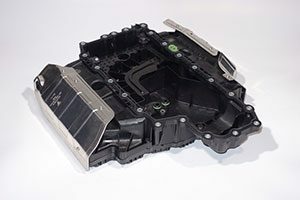 The most recent example of this is oil pan module made out of Durethan, a LANXESS polyamide, for the new six cylinder boxer engines for the Porsche 911 Carrera. “The component fully satisfies the specific requirements for functional integration, lightweight construction and cost-effective production that the new generation of engines has to meet,”, explains Jorge Soares, project manager for the highly complex component at POLYTEC PLASTICS Germany GmbH & Co. KG, based in Lohne. The oil pan module has been developed in close cooperation with POLYTEC and Porsche. LANXESS has demonstrated in a study for Porsche that motor oil pans made of polyamide 6 are certainly feasible. The tests included long-term tests of the thermoplastic’s stability with new and used engine oil, among other things. The engine oil pan for the Porsche 911 Carrera comprises an upper and lower part made of Durethan BKV 30 H2.0 reinforced with 30 per cent glass fibre. With the aid of the polyamide 6 it was possible to reduce the weight of the upper and lower shells of the sump to 1.3 and 1.8 kilograms, respectively. It was possible to reduce the weight of the oil pan by a total of more than two kilograms compared to its aluminium predecessor. LANXESS is exhibiting the two-seater electric scooter “eS2”, a model developed and designed in Italy, at its stand. The manufacturer of the “colourful classics with a retro touch” is Askoll Holding srl. 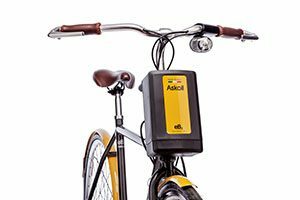 The manufacture of the housing components for the bicycles’ batteries relies on a new LANXESS material, which is to be marketed under the name Pocan AF 4110 in the future. The new flame-protected compound is designed for geometrically complex casings with large areas of material used in electrics and electronics. What gives our material the edge, apart from its low warpage and high flame resistance, is that it meets the rigorous requirements in terms of chemical resistance, heat stability and impact strength. It can also be ultrasonic-welded in a safe process”, explains Fabio Passeri, Sales Manager in the LANXESS business unit High Performance Materials (HPM) for the Italy/Switzerland region. 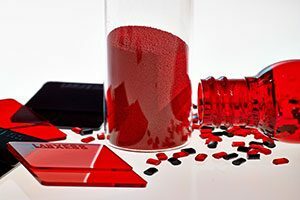 “Furthermore, thanks to its high color stability, we can dispense with separate UV-protective lacquering of the components, with considerable cost savings”. In the case of a roller support for a food processor, the mold filling process was simulated in order to determine the right gating concept for avoiding weld lines and air traps, and minimizing warpage. LANXESS plastics are also being used in the home. One example is a roller support for a premium domestic appliance manufacturer’s food processor. It is made of Pocan C 3230 XF (XtremeFlow), a blend of polybutylene terephthalate and polycarbonate reinforced with 30 per cent glass fibre made by LANXESS. “With our material, this precision component, which is subjected to high mechanical loads, can be of thin design, but still displays low warpage and dimensional stability at the same time,” explains Hans-Joachim Klöpper, Key Account Manager in the HPM business unit. 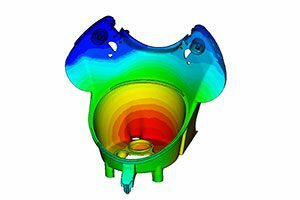 The specialty chemicals company has been supplying the household appliances manufacturer with custom materials for many years, and provided support during development of the roller support, such as mechanical or process simulations. The food processor combines numerous functions. It can, for example, grind, chop, mix, whisk, stir and knead. The roller support therefore is a complex component with a number of recesses, connection points and guides, as well as reinforcing ribs in several areas. “Thanks to the good flow properties of our blend, this complex component can be injection-molded with wall thicknesses of just 1.2 to 3 millimeters,” says Klöpper. 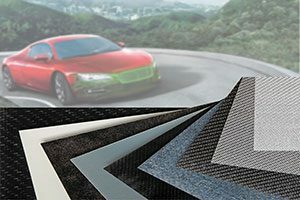 Because of the strong interest in Tepex, a semi-finished composite by the LANXESS subsidiary Bond Laminates, a processing brochure on its handling will appear at K2016. It provides information on the advantages of the thermoplastic composite, its potential in lightweight construction and the product families, and it covers in detail the many methods for processing Tepex, such as thermoforming and hybrid molding. Considerable space is given to techniques for heating Tepex and the design and calculation of components by means of draping and integrative simulation. The brochure is directed at engineers, but also readers interested in the technology who work, for instance, in marketing or purchasing. It will be available at K 2016 at the LANXESS stand and for download at www.tepex.de. Macrolex Gran: Brilliant coloring of amorphous and semicrystalline plastics. The LANXESS business unit Rhein Chemie Additives (ADD) will be showcasing its organic Macrolex Gran colorants for the brilliant coloring of amorphous and semicrystalline plastics. Thanks to their microgranule form, the colorants compare extremely favorably with powders and compact granules owing to their excellent dispersion and processing properties and safe handling. Macrolex microgranules consist of hollow spheres that can be very easily crushed, which means they can be quickly, evenly and completely distributed and incorporated into the plastic. The excellent processability of the product is due to the fact that the hollow spheres comprise particularly small primary particles of between around two and ten micrometers depending on the color. The design of Macrolex Gran is such that on the one hand its hollow spheres are big enough to hardly form dust and on the other the much smaller particle size compared to powder enables rapid and complete solution dissolving in the plastic. The good free-flowing properties of the 0.3-millimeter spheres make precise metering easier and prevent clumping in the mixing process. The four times higher bulk density compared with powder pays dividends in processing, transport and storage alike. ADD will also be presenting its wide range of hydrolysis stabilizers for plastics and polyurethanes. A new addition is Stabaxol P 110, the first product in a new line of innovative, low-emission polymeric carbodiimides, which are based on alternative raw materials. With this product, LANXESS is catering to the trend towards customized anti-hydrolysis agents, which are tailor-made for use in individual applications and are thus an enormous improvement with respect to stabilization performance, toxicology, emissions and handling. Stabaxol P 110 shows outstanding performance when used in the thermoplastics PET and PBT and in thermoplastic elastomers (TPE-E). In particular its use in the bioplastic polylactide (PLA) leads to a major extension of the service life of the final article under moist and warm operating conditions. Typical applications include monofilaments for paper machine screens, cable sheathing, engineering injection moldings and electronic housings. Rhenowave inline process control has been developed for manufacturers of tires, profiles, technical rubber goods and rubber compounds to enable them to reliably monitor, for example, the dispersion quality of rubber compounds during extrusion. The Rhenowave inline process control from ADD is aimed at rubber processors. Practical demonstrations of it will be given at the fair stand. It has already been successfully introduced by ADD into an industrial environment within the group at two LANXESS sites for bladder production. 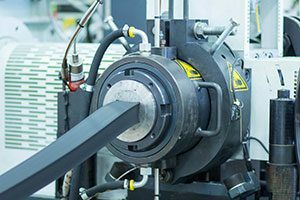 “Thanks to Rhenowave, we offer rubber processors the chance to achieve a completely new level of quality in the extrusion process,” says Philipp Junge, head of the Rubber Additives business line in LANXESS’s ADD business unit. “The analysis data are collected continuously inline, i.e. during production, and provide information on quality for the entire production volume, not just for certain test pieces. This is what lies behind the appeal of Rhenowave and boosts cost-effectiveness,” explains Junge. See you at K 2016 in hall 6 C76!